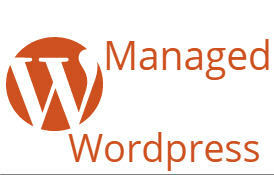 Managed WordPress services can be an extremely useful solution for your small business. A reliable hosting company will ensure that you site is properly optimized, updated and maintained for maximum readability. Saving time: A Managed WordPress hosting leads to extended time savings. A business owner doesn’t have to do any of the updates or mess around with their website settings. Instead, a business owner can focus on creating contents and running their business while the hosting company do the work. Maximum Uptime: Your website is regularly updated and kept to current top web standards in the industry. Your customers will always be able to access your content 24/7 and this allows you to build trust. Improved Customer Engagement: A Managed WordPress it is possible to see improved customer engagement. This is because many of the comments can be moderated or even pushed directly to your customer service department. This type of service can help to improve the response times on your website and the ability to react to posts. Extra features: Managed WordPress can ensure that you always have access to the best SEO tools, calendar update features, login features and much more. These added features will improve your overall website performance.